or even this at my door tonight? Hello Sunshine! 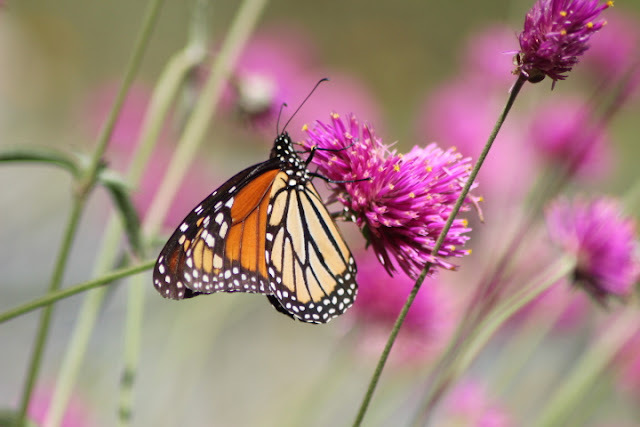 Last week in my Wildlife Wednesday post I wrote about plants for Monarch butterflies as suggested by the Lady Bird Johnson Wildflower Center. 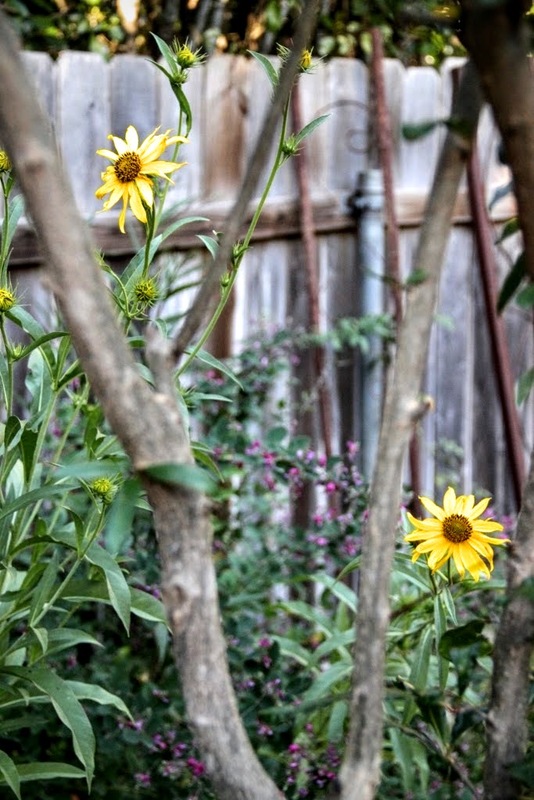 Maximilian Sunflowers were one of five native plants on the list, but weren't blooming in my garden at the time. 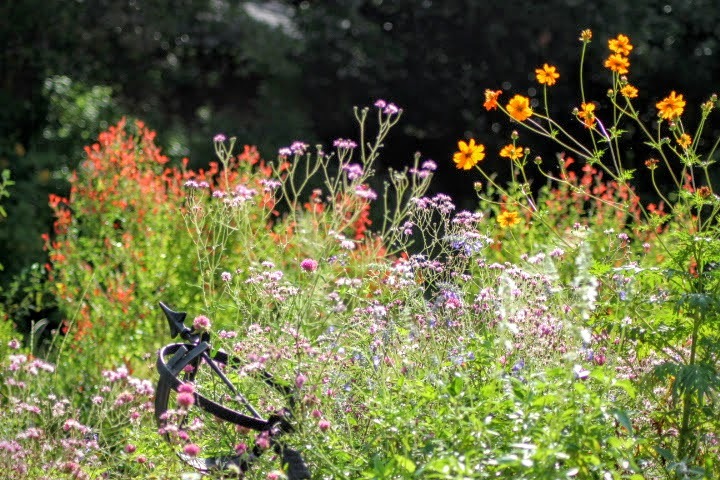 Now blooming just in time for Texas Native Plant Week, it's time to share these cheerful blooms. Helianthus maximiliani are named for Prince Maximilian of Germany, a naturalist who led an expedition into the American West in the 1820s. 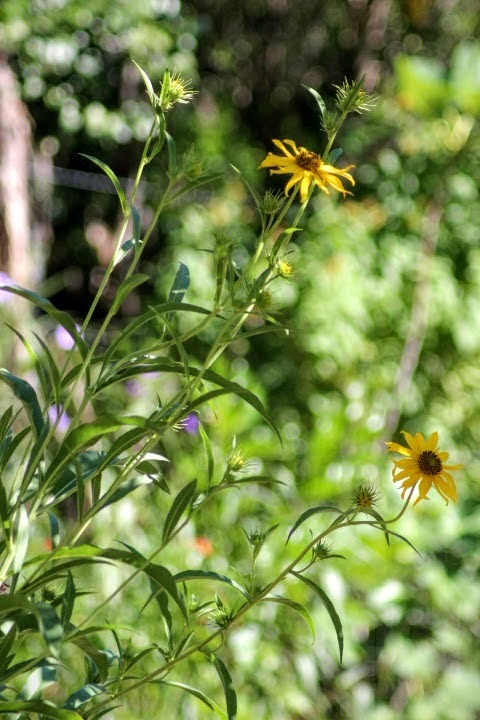 Maximilian sunflowers are edible by livestock making them quite popular with deer. I know because they ate my first planting right down to the ground overnight. One of my generous readers, Lorelei Stewart Meyer, offered to replace them and now they're planted in our deerproof enclosure along the side yard. They are prolific reseeders so I can collect the seeds and sow them around sunnier parts of the yard now that we have entirely fenced in the back to keep deer out. 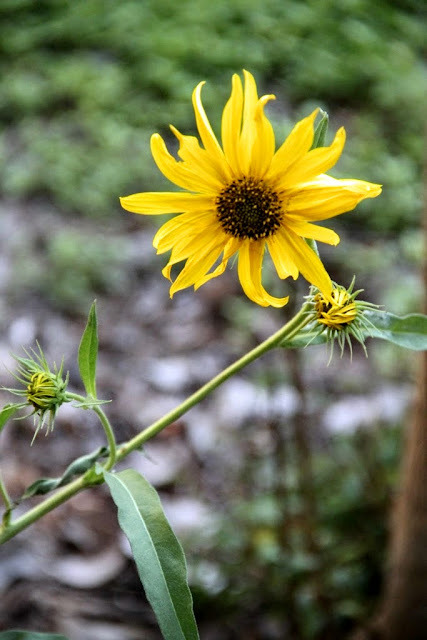 These perennial sunflowers regrow from their roots each spring to bloom just in time for butterfly season making them an easy care addition to my garden. Oddly, I haven't seen a single butterfly on these flowers as they seem to prefer several other plants in the garden. Somewhat disappointing that we've had just a few Monarchs through the garden this week. I'm hoping to see more soon. Fortunately the Sunflowers will keep blooming until frost arrives near the end of November. It's Texas Native plant week so I'm featuring a few of my favorite native plants to show off how many beautiful plant options are still available after we've given up trying to grow plants unsuited to our soils and weather. After a few failures we gardeners learn to head for the native plant section at our local nursery or double check the list of adapted plants. No better place to start than with Acourtia wrightii which bloomed for the first time this summer after nearly five years in the garden. Medina Garden Nursery which specializes in native plants was the source for this hard to find plant. They are a great resource for native plants since many of the plants they offer are scarce at nurseries and some, like Acourtia wrightii, are only available from specialists in native plants. So excited to find an unusual locally native plant I snapped it up despite its unfortunate common name Brownfoot. Brownfoot refers to a thick root or hairs that form at the base of the plant though I don't see that when I look. There's not a lot of info out there but I did find it at the Native Plant Database (NPIN) and even more info in Sally Wasowski's book Native Texas Plants: Landscaping Region by Region which I highly recommend to anyone with an interest in growing Texas native plants. Acourtia wrightii has never been featured on my blog because it didn't look like much for four years. I wondered at times if it would even survive. After watching two woody stems struggle for several years I decided to cut the whole thing back to three inches in early spring. 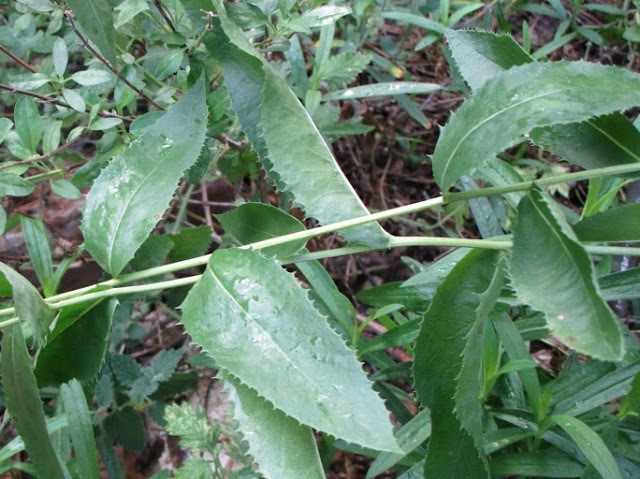 That turned out to be a good decision because, with the help of spring rain, it quickly put out numerous arching stems covered with thick, shiny, leathery leaves. Planted where there's plenty of light but limited direct sun during the heat of the day seems to be a good spot for this plant. Photos I've seen show flowers of deeper pink though these 4" blossoms are nicely fragrant and quite showy for a native plant. Leaves are shiny and leathery. According to Wasowski's book its seeds are attractive too. Unfortunately, I didn't remember that detail before deadheading it so just pretend this stem is still attached and ignore those brown leaves. Now that it's covered in blooms, I can easily imagine a row of blooming Brownfoot arching over lower plants in the border. 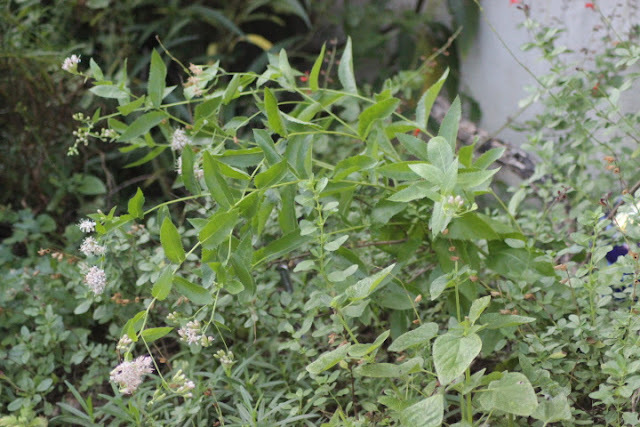 It colonizes slowly by rhizomes so if the seeds don't work I'll need to be patient or make another trip to Medina. 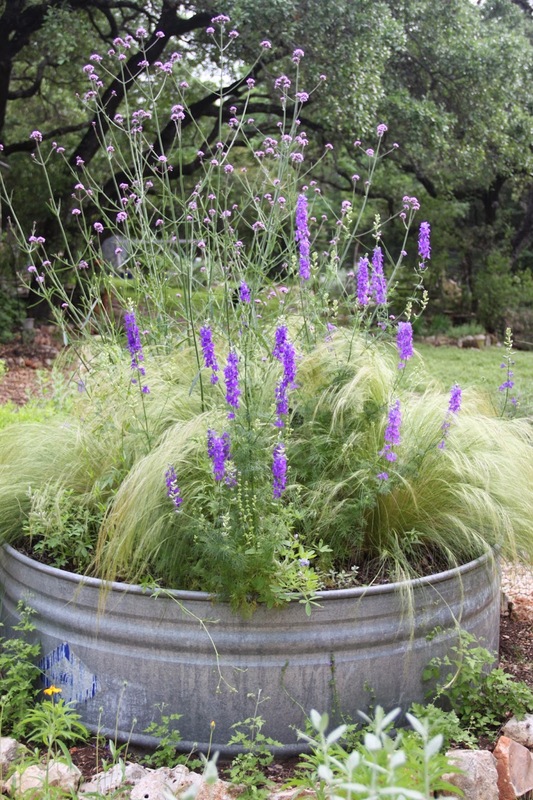 Native to Central Texas and Cold Hardy to Zone 7 and heat hardy to Zone 10, it has a wide range. Typical of many plants from our arid climate it can go for long periods of time without water. The leaves will lose their color without dropping and then green up when rains return. Now that's a worthy plant for my Texas garden. 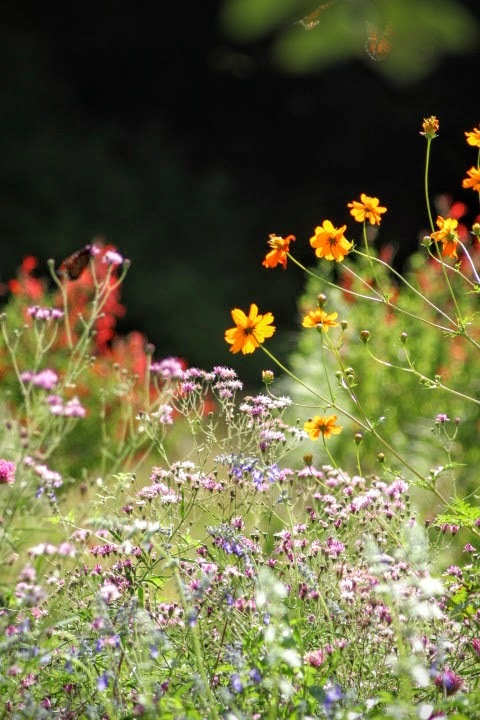 Texas Native Plant Week is sponsored each year by The Ladybird Johnson Wildflower Center. For 2016 it's October 16-22. They'll have activities all week at the center, but I always start where any native plant fan would and that's right in my own garden with mostly native plants. 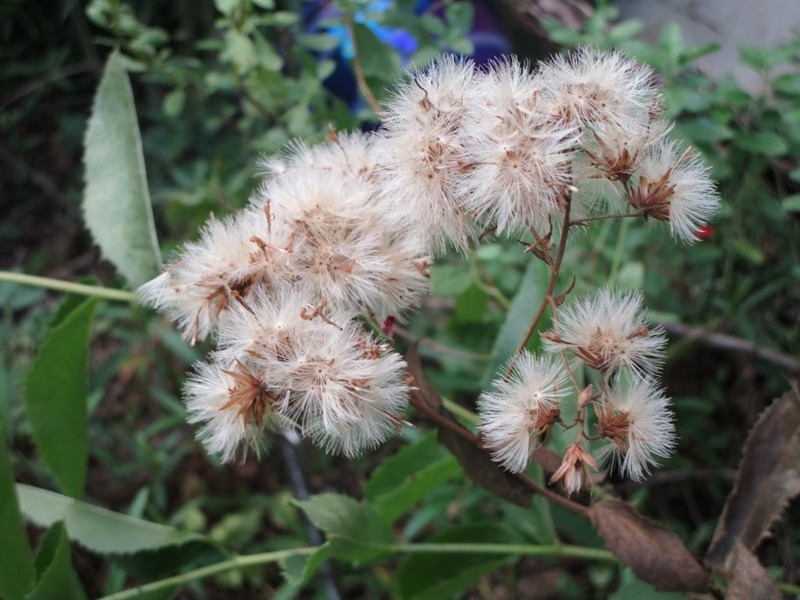 In our heat and dry-challenged climate it's so important to add native plants to the garden. 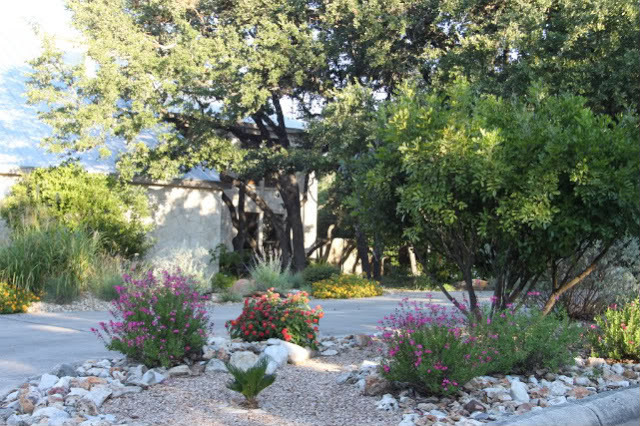 In Central Texas we are fortunate to have a wonderful variety of flowering and foliage native plants to choose from as in my tank garden photo below. There are few non-natives but not many and even those are from nearby Mexico. 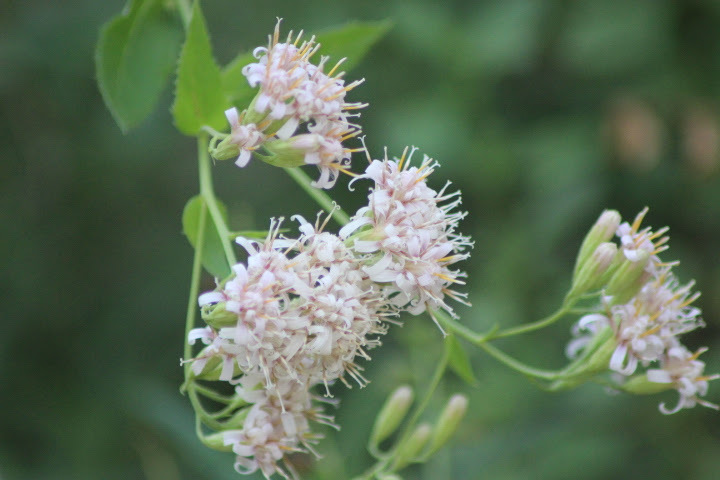 Throughout the week I'll post on some of my favorite native plants. Today I'm highlighting Palafoxia, the delicate pink blooms in the foreground I think this is probably Palafoxia callosa or Small Palafox which I thought was too weedy to stay in the tank garden when it first appeared several years ago. As a fall bloomer it doesn't look that great much of the summer. All attempts to seed this fleeting annual to more natural parts of my garden have been unsuccessful and this year the Palafoxia has filled in enough to look less weedy. Like many native plants Palafoxia needs little attention from the gardener and it gives back so much. Butterflies and bees love it. A Queen Butterfly (above and below) had to endure some buzzing bees to nectar on the delicate pink flowers. 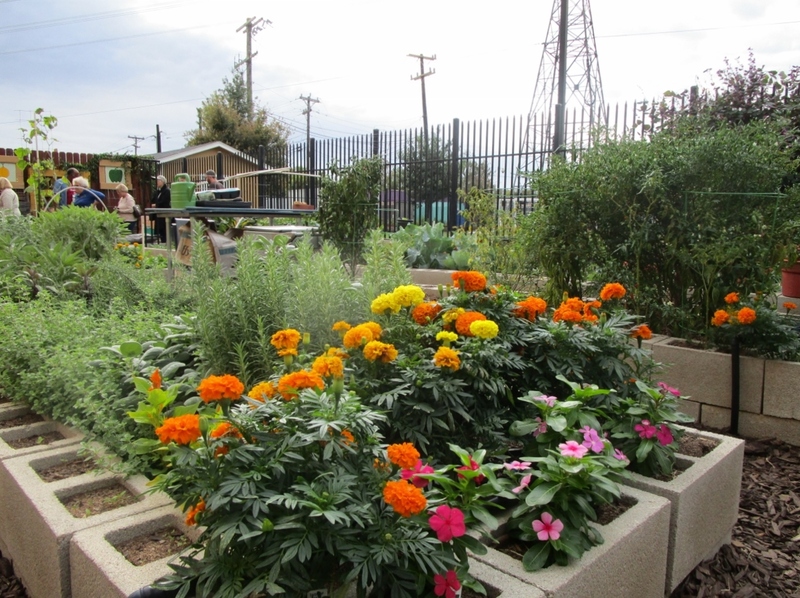 Extremely heat and drought tolerant it adds so much to the fall garden. Besides it has "fox" in the name so how could I go wrong? 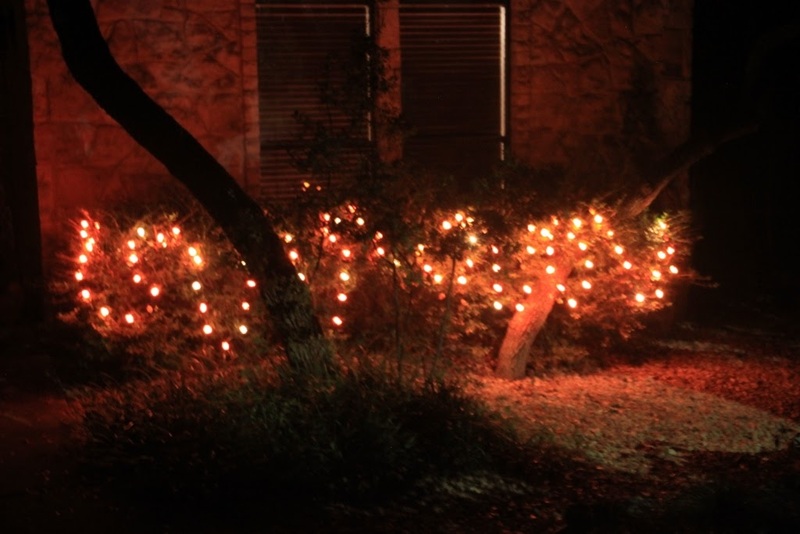 On October 9th, 2011, one of my first posts was a "Before and After" of the front garden and I've kept it as an annual feature for the past five years. There isn't much special about the date other than it just happened to be a date for which I had a good "before" photo. 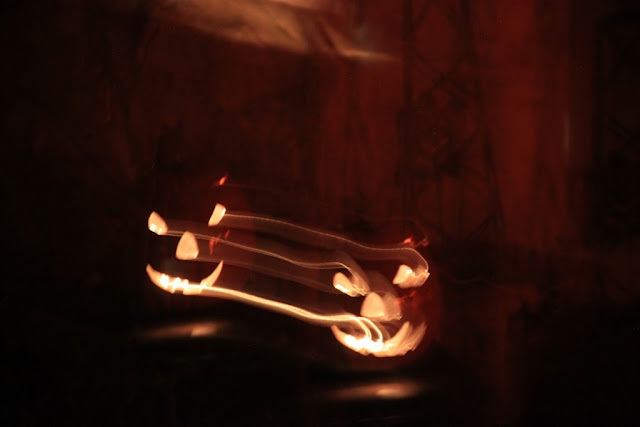 Since it's the five-year anniversary of this blog I'll take you back through the years. Looking pretty good there considering most of this reflected just two years work. We had dug and divided existing pink Salvia greggii which produced a nice bloom prompting me to take the photo below. We were going backwards after all that work! I started this blog in the middle of a drought so my first "after" looked more like a "before" with dead ornamental grasses front and center. Salvia greggii and lantana which looked so good the year before are struggling. After a summer of drought and record heat I looked forward to autumn rains which never happened since we had another year of drought ahead. Things were a little better the next year with New Gold Lantana in full bloom and Salvia greggii recovered enough to bloom. I widened to view to include the garage corner. All the better to feature the Agave ovatifolia growing enough to hold its own. By then I had replaced the struggling salvia and orange lantana with Golden Barrel Cactus (Echinocactus grunsoni). Miscanthus grasses in the island bed have been replaced with heat and drought-tolerant Yucca recurvifolia. Much better. 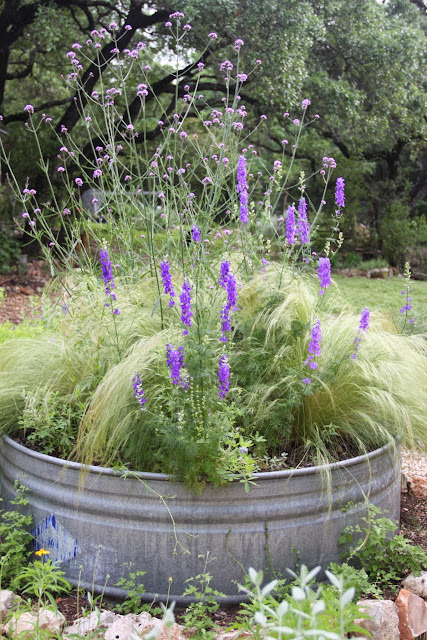 We had removed the scraggly Cenizo sage dominating the island bed last year in favor of smaller, low growing plants. 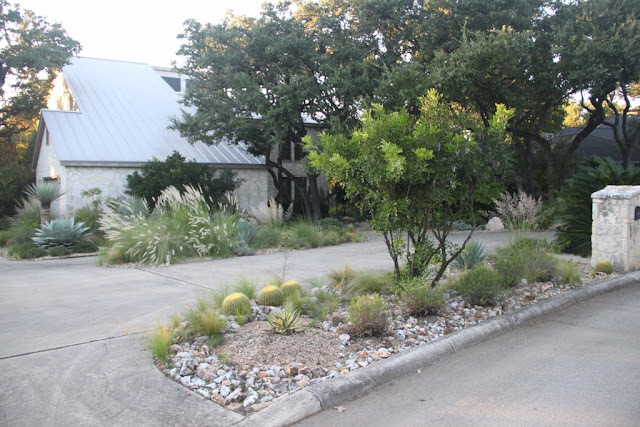 By then rains had returned and the drought tolerant yucca in the gravel circle (foreground) got too wet so I decided to try ornamental grasses there with mixed results. Pretty obvious ornamental grasses don't work that great in the gravel circle in the foreground by the street since this is the second one to fail there. Those green dots in front of the agave are Damianita which replaced New Gold Lantana. 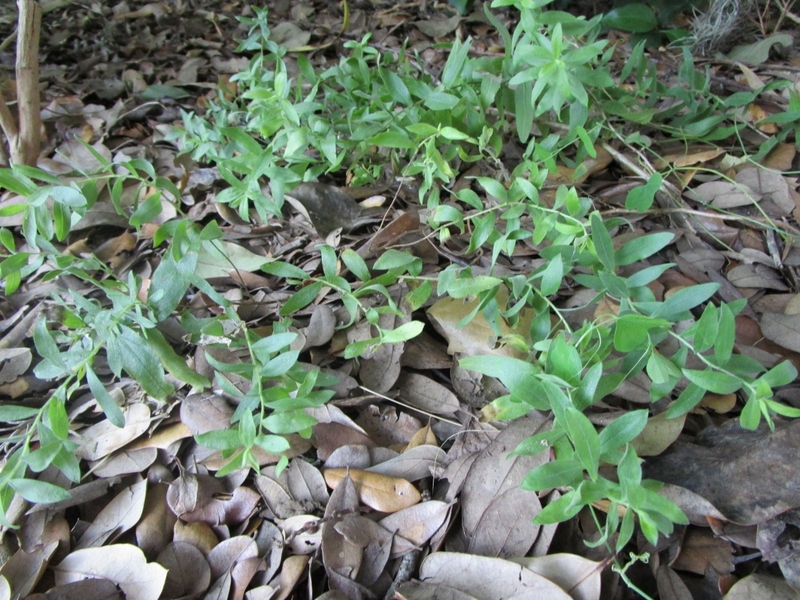 Damianita are evergreen and more drought tolerant. The gravel circle out by the street got a soil makeover for better drainage and a nice Yucca 'Color Guard' was planted. It looked pretty good for a while but I replaced it with a pennisetum grass in the spring of 2016 about the time the agave weevil struck my garden. 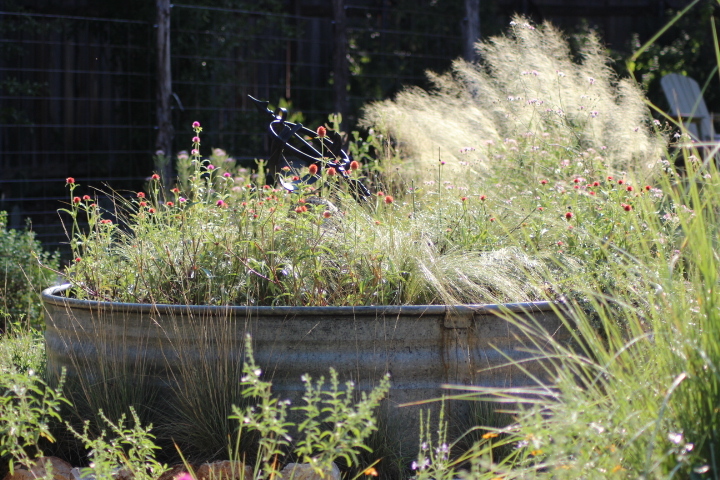 I added pennisetum grasses to the island as a replacement for the Yucca recurvifolia which died after blooming. Again this year Salvia greggii finished blooming a few weeks ago and were cut back to get another bloom before the end of November. Interesting to note Salvia greggii seems to have bloomed earlier the last few years making these photos a bit colorless. I could change the date but then that would defeat the concept of posting on the same day each year. 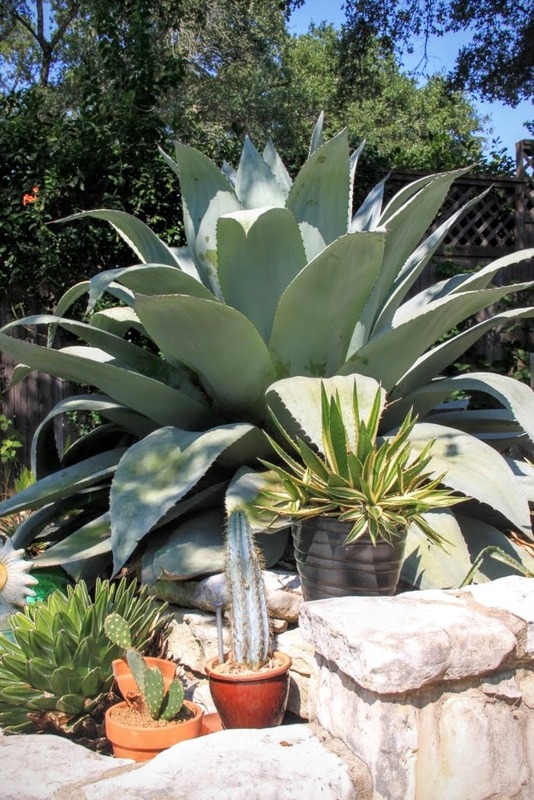 Currently an Agave quasimoto occupies the gravel circle up front. 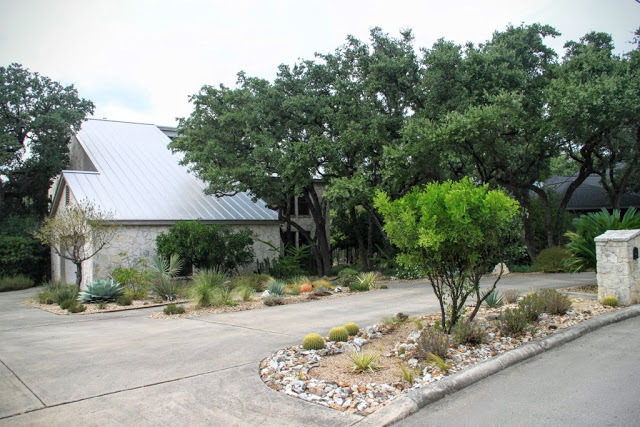 The Vitex by the garage was replaced with a Yucca rigida last spring and that Agave ovatifolia has grown large enough to show off as a major feature from the street. Pennisetum grasses in the island bed are going away as mentioned in a recent post. They're flopping all over the place and shading out the sun-loving damianita because they don't hold up in wind and rain. 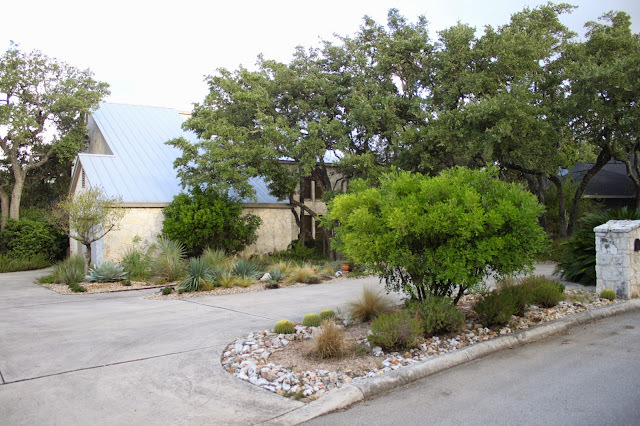 But I still like the idea of ornamental grasses to soften all the driveway concrete and landscaping rock. Over the years I added different views of the driveway and back gardens. I focused on the original front angle view for 2016 and will show more views in another post. 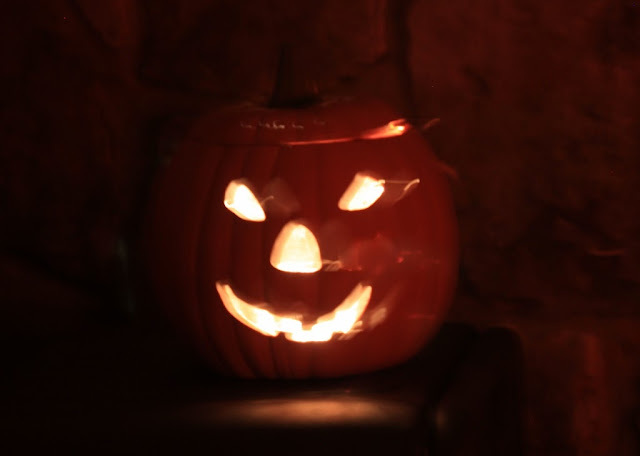 You can see all my previous October 9th posts at the links below. 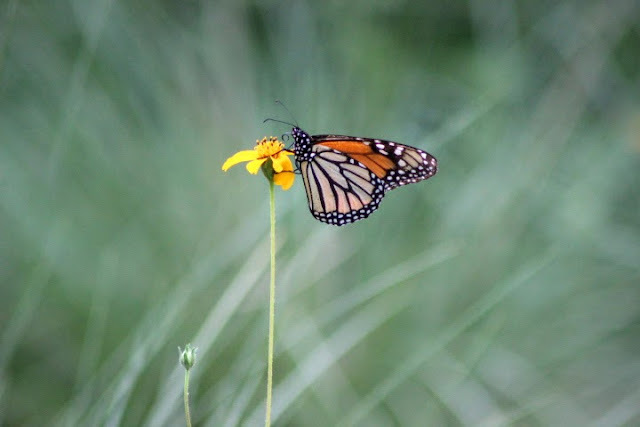 Gardeners in South Texas hear a lot about planting milkweed for the monarchs since most North American monarchs pass through our area as they migrate southward. But milkweed is just part of the picture. 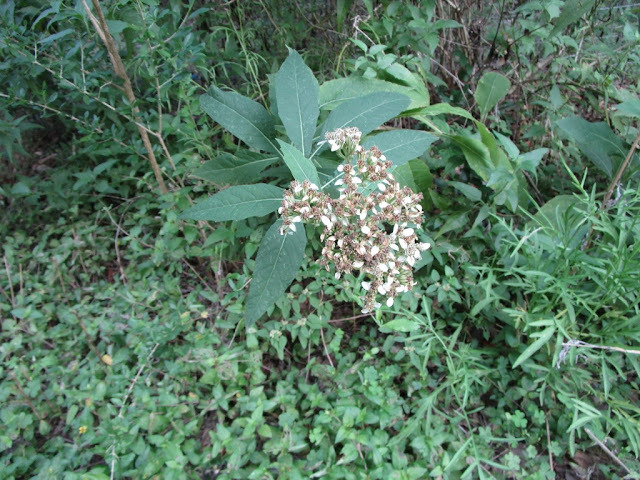 Butterflies need milkweed as a host plant but nectar plants are most important in the fall. Unlike the journey north in the spring where multiple generations make the journey the fall monarch migration means a one generation flight south. Just as I was learning more about this important difference, a timely article on nectar plants from the Wildflower Center appeared in my Facebook feed. I noted that all five recommended plants are currently in my garden. 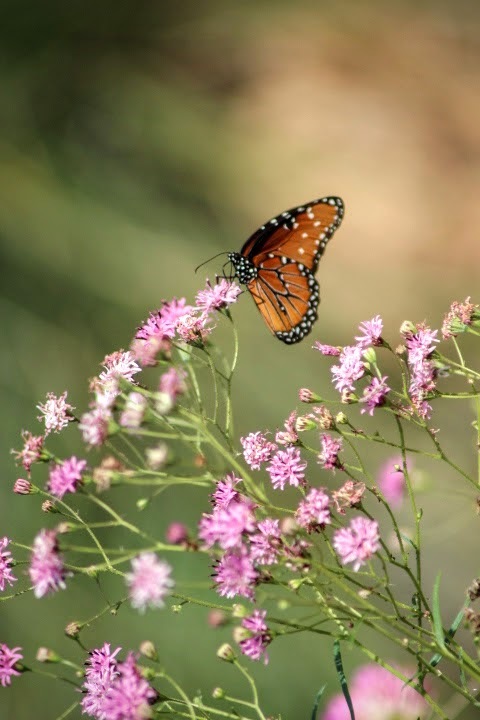 Without even trying to create a butterfly habitat or specifically include nectar plants I had done so by simply choosing fall blooming native plants because they grow so well in my climate. Already a few monarchs have appeared in the garden and more are on the way. 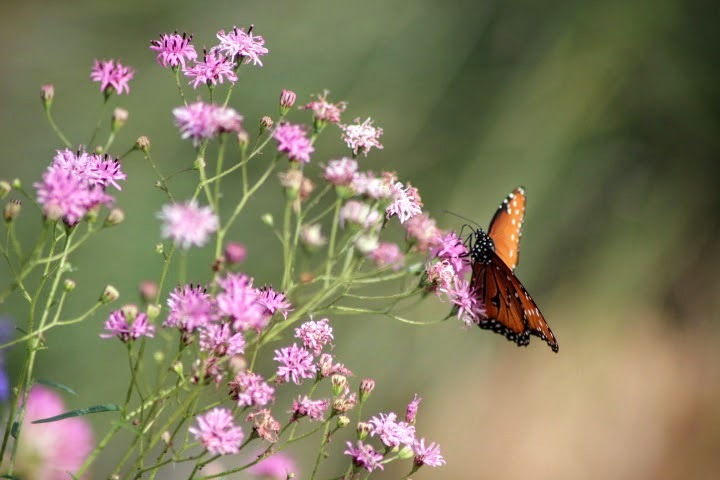 For Wildlife Wednesday hosted by Tina at "My gardener says..." I decided to check off the list of important nectar sources for monarch butterflies which will soon appear in my own garden. 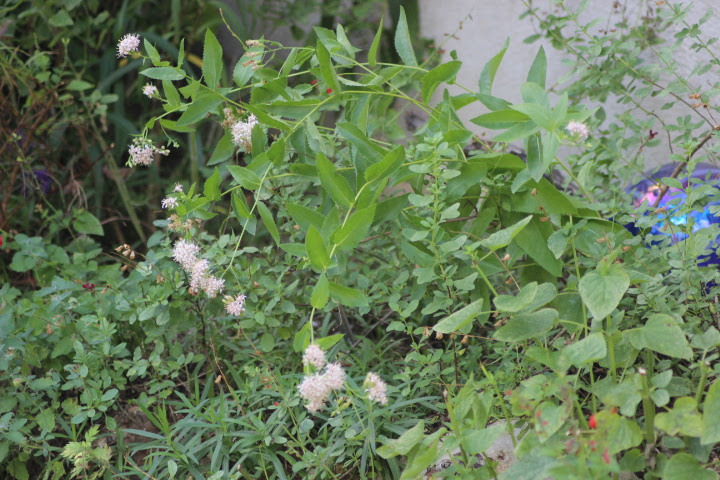 I have several of these plants commonly know as white mistflower in both front and back gardens. 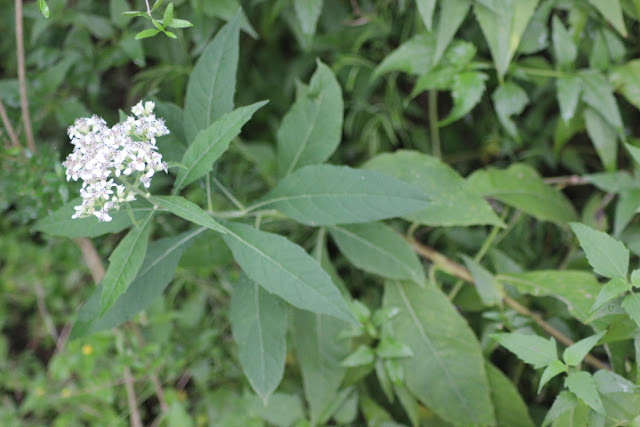 The plants were purchased as Eupatorium havanensis so the botanical name has apparently changed. In early November fragrant white flowers will light up the garden. 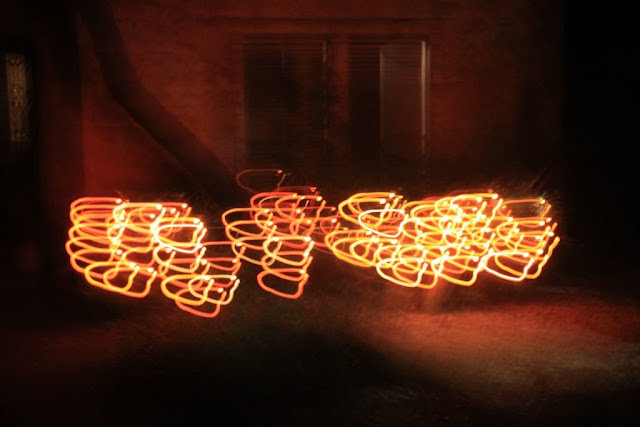 The photo below is from several years ago. 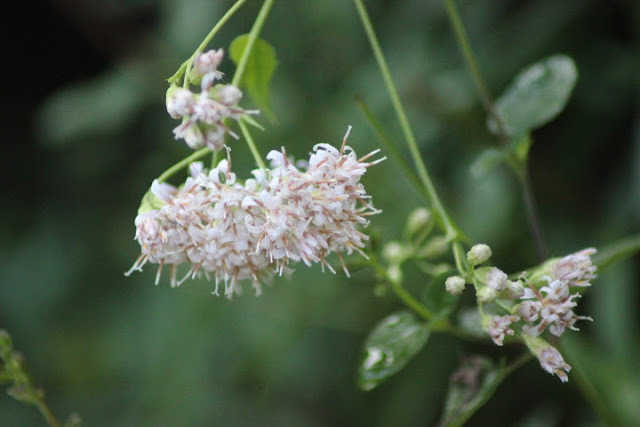 We had a weird weather year and white mistflower also bloomed this spring. I cut the plants back and hoped for a second bloom this year. Looks like I'll get my wish as new fall flowers are forming now. 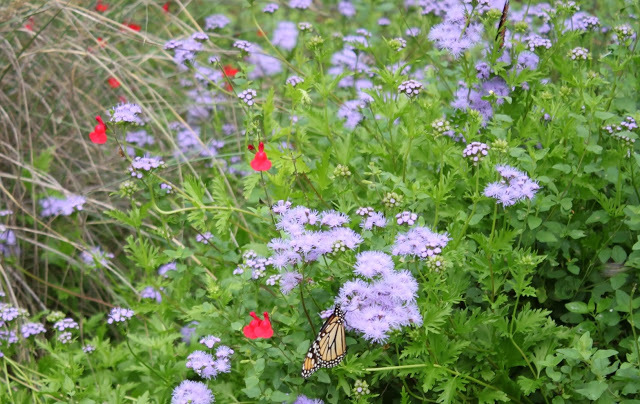 Gregg's mistflower is blooming away right on time and currently covered with queen butterflies. An occasional monarch has joined them but the main migration is still ahead. I'll deadhead soon to get more blooms for the main migration season. I'll never tire of seeing butterflies go crazy over my plants. As I walk through they all fly up and I can sense their movement. Monarch enjoying Gregg's mistflower from several years ago. Growing behind the deer fence where they were protected from deer which love to eat Maximilian sunflowers right down to the ground these plants have been shaded a bit too much and are not yet blooming. Now that the yard is fully fenced, I'll plant this year's seeds in several sunny locations along the back fence. As perennials they grow back from the roots each year so once established there's little to do other than watch them grow. They are still opening which should have them ready as the main migration comes through. 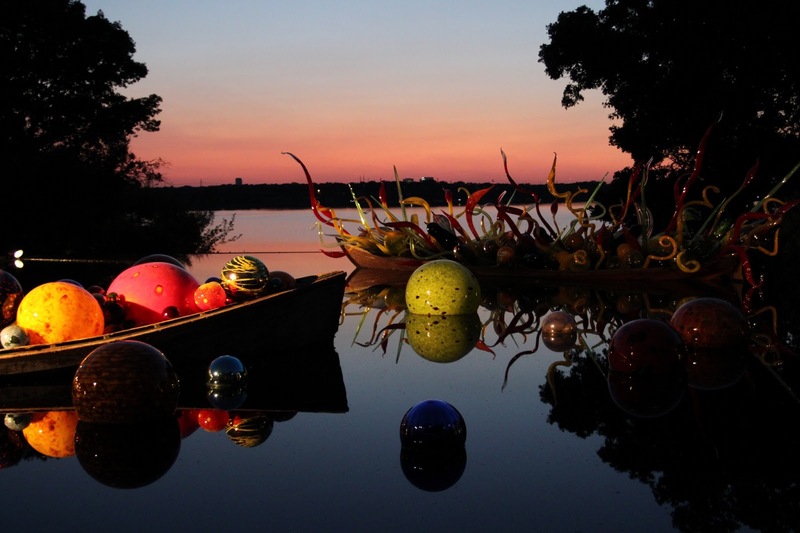 To see them in full bloom check out this post from Sheryl at Windows on a Texas Wildscape. 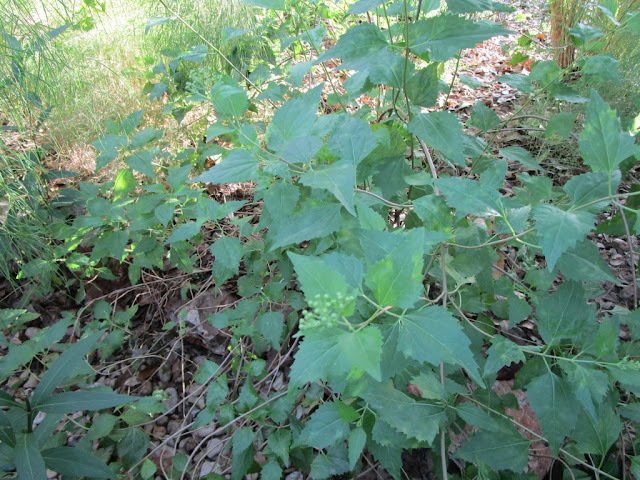 My friend Cheryl shared one plant last year and it's growing well under the shade of oaks along the back fence. As another easy care perennial, I look forward to having more Frostweed plants next fall. The first one to bloom has faded but there's another producing blooms close by. Our native aster is planted near the front fence, it's getting a little too much shade but should bloom well later this fall before I move it to a sunnier spot. I had to move it when the deer discovered it and I'll try to make a better spot for it next year. 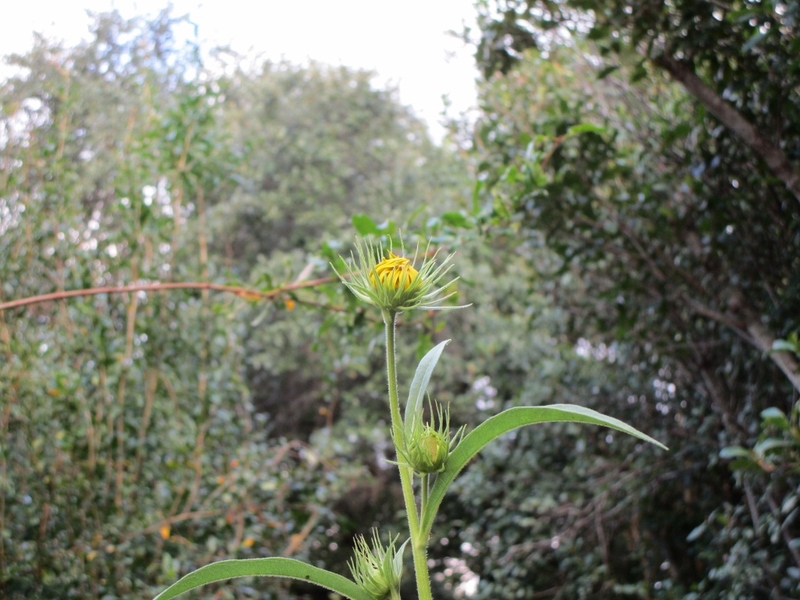 Here's a photo of aster blooms along the Museum Reach of the San Antonio River Walk so you can see how gorgeous they are massed in bloom. So five checks on the butterfly nectar plant list. I did see a monarch laying eggs on milkweed earlier this week so they need both nectar and milkweed host plants. With all these recommended plants in the garden you'd think the monarchs would flock there except in past years I've noted monarch butterflies prefer Gomphrena 'Fireworks" in my garden. 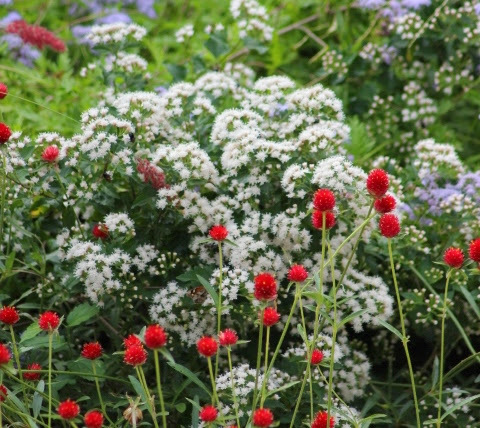 Gomphrena is native to deep south Texas and northern Mexico, so maybe they just think it's a later stop along the way. I read that the migration is running a bit slow this year which is a good thing since several of the plants on the list are yet to bloom. It would be nice to have the blooms and butterflies arrive at the same time. 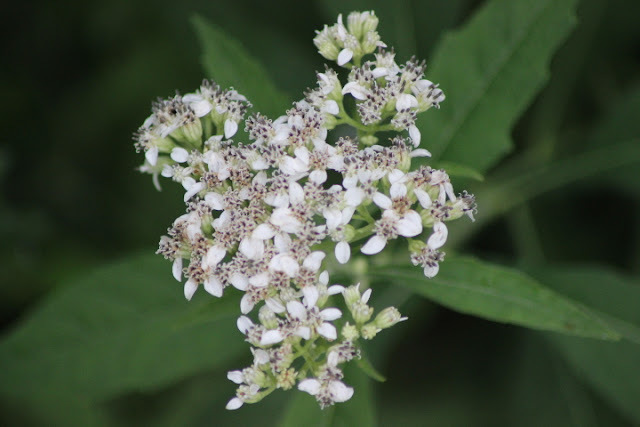 For those of you who live in San Antonio there is a native plant sale at Hardberger Park next Saturday October 8th, 2016, in the morning sponsored by Native Plant Society of Texas where you might find some of these great nectar plants for your garden. Check out the comments in Tina's post for more wildlife in the garden and I'll return in early November with a roundup of fall wildlife in the garden. 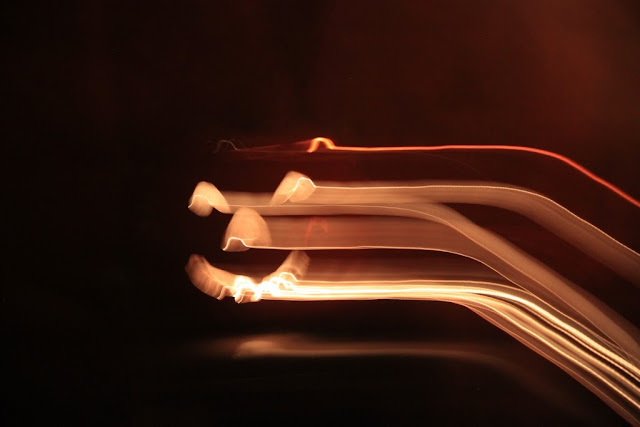 Five years ago today I hit the publish button on my intro post and immediately realized there would need to be a second, third and many more posts if this blog was to keep going. Five years is quite a milestone and several bloggers I used to follow quit posting after a few years, in fact the only Central Texas blog I know of that was started about the same time and is still active is "My gardener says..." by Tina in Austin who hosts the Wildlife Wednesday meme I link to on the first Wednesday of each month. Of course the primary inspiration for my blog, Digging by Pam Penick is going strong at 10 years. Five years and 566 posts (including this one) published, plus more than a few unfinished posts stored as drafts. And that brings up one of my challenges to blogging--getting over the need to have each post be perfect. For example, had I known my post on propagating barrel cactus pups would be linked to Gardening Know How bringing in thousands of pageviews I might never have published it. In retrospect the post isn't perfect but at least it's a step-by-step on separating and growing those baby barrels to help those who want to learn about the process. Neal says he would have put on nicer gloves if he had known he would be "Mr Hand" to so many people. Sometimes a pep talk is needed, something along the lines of "it's your blog so have fun and just get the info out there". Neal also has a saying that "better is the enemy of good enough". Maybe I'll even dust off a few of those unfinished posts and publish them as throwbacks. This five year point is a good time to look back at some of my memories and milestones. With so many posts to choose from, it's not easy to narrow down the choices so I've included links to each year's wrap up post. 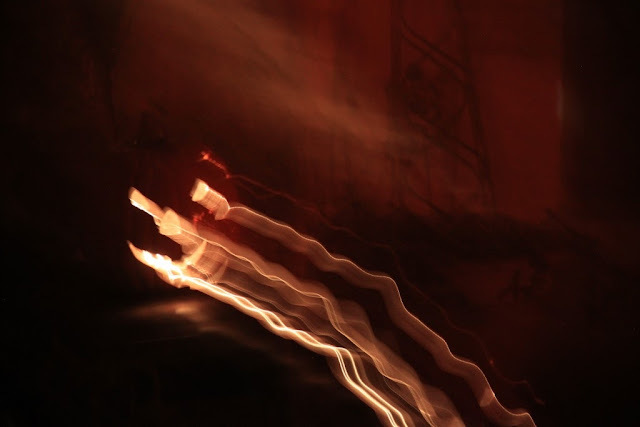 In my intro post I shared my goals for this blog and how I arrived at the title. 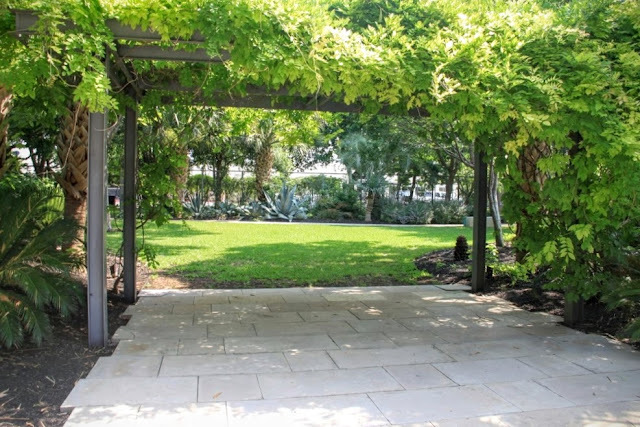 I decided early on that readers would get pretty bored looking at my somewhat new landscape and garden every week so I promised to tour you around my beautiful city of San Antonio along the way. Along those lines, one of my first posts was a visit to the newly renovated Japanese Tea Garden. Off to a fast start with 32 posts in three months and I ventured into showing my own garden progress with an October "Before and After" feature which I continue each year to document changes in my garden and began Walking the Walk from north to south along the 15 miles of the San Antonio River Walk. 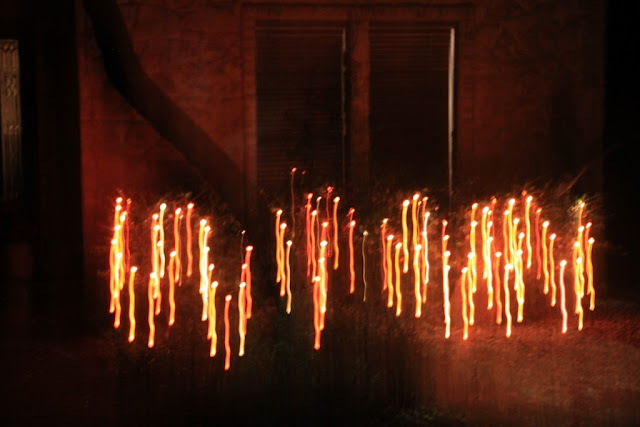 With just three months of blogging under my belt, I decided a retrospective might be a bit presumptuous so I took the Top Ten Challenge and selected my favorite photos to close out the year. My first full blogging year saw 157 posts and my first blogger meet-up with Austin bloggers for the a fun day on the Garden Conservancy Open Days tour. I even ventured farther out of town for the spectacular Chihuly exhibit at the Dallas Arboretum which resulted in one of my best photos ever. You can read about more of my 2012 memories here. This was the year our gardens began recovering from several years of drought and record heat waves so an entire post on rain celebrated the occasion. 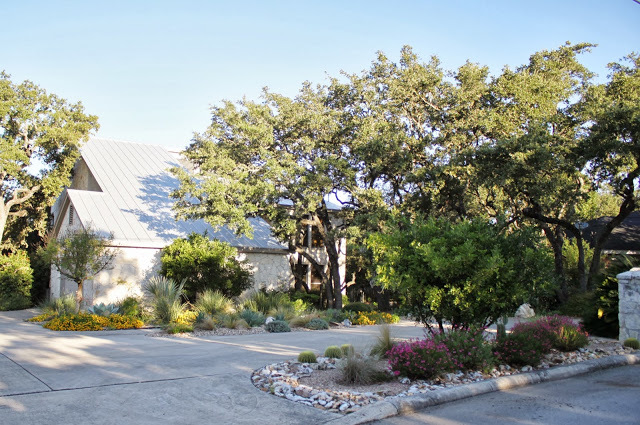 While attending a talk by Pam Penick, I discovered the Gardening Volunteers of South Texas (GVST) and added garden volunteer to my busy retirement schedule. Joining my local garden club and GVST has opened up many new opportunities to blog about private and public gardens in San Antonio. Traveling even farther than Dallas, I shared a chilly visit to the U.S. Botanic Garden in Washington, DC where we had lived for a number of years and then on to Neal's hometown of Harmony, Pennsyslvania for Thanksgiving. 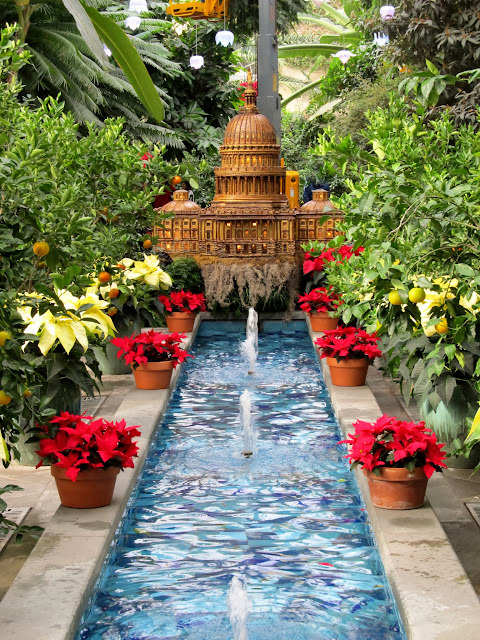 We found time for a snowy trip to the amazing Phipps Conservatory in Pittsburgh and Amish country to the north. For 2013 I listed all the plants I acquired during the year whether purchased, swapped, or just plain free. Interesting, but it was the last time I attempted that particular stunt. In addition to more sights around town I posted a Before and After of my back garden. Such posts are encouraging as they remind me of just how much we've accomplished in a relatively short time. My first blog giveaway was a copy of Rebecca Sweet's book Refresh Your Garden Design with Color, Texture & Form. I was thrilled to help promote her excellent guide to taking your garden up a notch by applying a few basic design principles. For 2014 I focused on outtakes, those photos I liked but somehow didn't get posted during the year. In April 2015 my tank garden arrangement wowed visitors to my garden. This photo was linked and pinned more than a few times. Previewing the Inside Austin Garden Tour last fall was a first for my blog and just one of the many highlights of 2015. 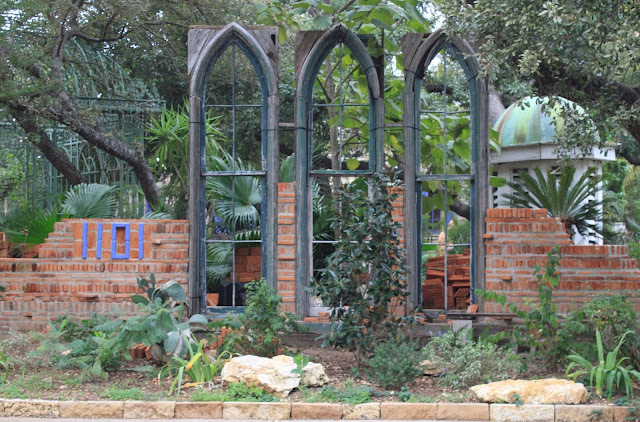 Not only did I spend a day with Austin bloggers touring gardens, I got to visit Pam Penick's garden for the first time. I've followed Pam's blog Digging for years and she encouraged me to start blogging when I was on the fence about the idea, so it was fun to finally visit and see her garden which has been so inspiring to those of us with similar challenges of tough climate, rocky soil and deer. I got my first (and last) look at Moby before he bloomed and died in summer 2016. Just last week Pam dropped off a batch of Moby Juniors, so Moby lives on! Another favorite was a memorable visit to the vegetable garden at Haven for Hope where homeless families learn to get back on their feet. I was so inspired I keep this post up as a featured post on my sidebar. From your comments I know many of you enjoy touring San Antonio. Almost any tour of our sights is a can't miss hit since I live in one of America's most beautiful and popular destination cities. 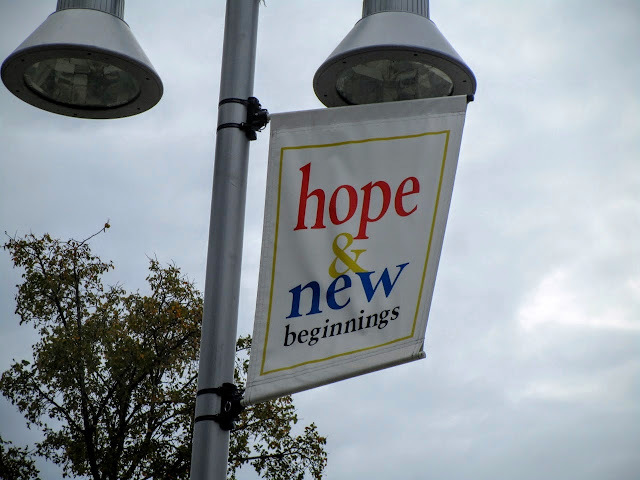 Beside those obvious tourist spots, I also appreciate how readers have motivated me to explore corners of the city that I might not have taken the time to see such as the contemplative space of Chris Park. 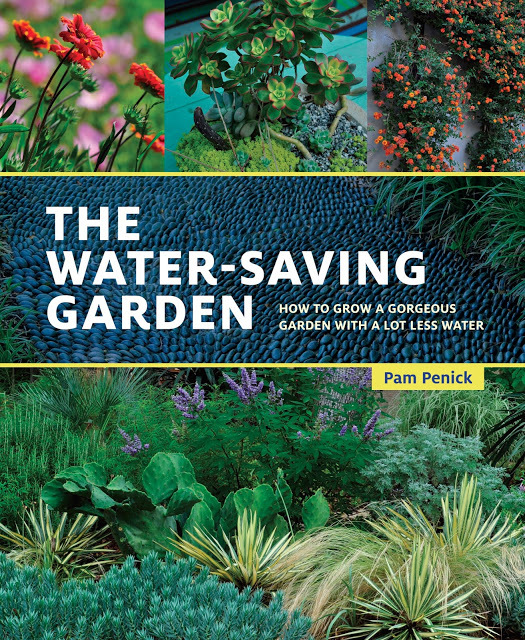 I joined my first book launch party and second giveaway for Pam Penick's second book The Water-saving Garden. It was fun to have a peek at the process of getting a book launched. The book is an excellent source of inspiration and information on growing a gorgeous garden even if you don't live in a water-challenged area. I'll have a retrospective on 2016 later in the year. Thank you all for reading and commenting all these years and I'll start year six tomorrow with a Wildlife Wednesday post. Every single post has had at least one comment, and those comments are truly appreciated. Oh, and I updated my profile photo in honor of the occasion.